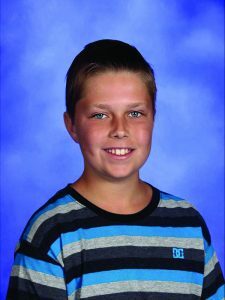 Ethan Roman (6th Grade) is the son of Sherry William and Robert Roman and is part of the Community and Service magnet. Ethan has a brother and sister: Jerahmi and Ashleigh. The family pets include dogs: Daisy and Duke, a cat named Chloe and a rabbit named Hailey. 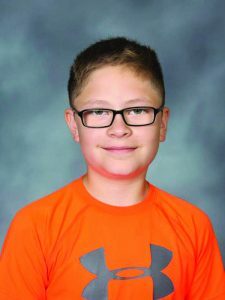 Ethan attended Lakes Elementary school prior to coming to ERMS. Ethan spends his free time playing soccer, swimming and participating in the band playing the French horn. His favorite class this year is Math because when he is in math his brain is “constantly moving”. The teachers of ERMS are the best thing about the school according to Ethan. Ethan’s favorites include the color green, eating pizza, the movie Home Alone 2, and listening to Pop music. Ethan would like to attend John Hopkins School of Medicine and become a Pediatric Cardiovascular Surgeon. His dream vacation is to travel to Dubai. The person he admires the most is his mom as she is loving and always there for him. When asked what he is most proud of rather than mentioning any of his accomplishments, Ethan wrote that he is proud of his sister because she has very good grades, is hard working and wants to be a police officer. 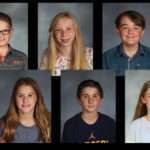 Olivia Hewitt (6th Grade) is the daughter of Amanda and Greg Hewitt and the big sister to Owen. 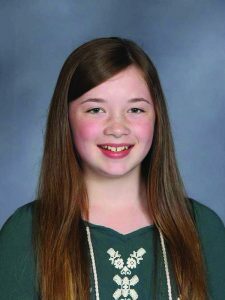 Olivia attended Parkside Elementary School prior to joining the Earth Keepers magnet. Olivia’s hobbies include: lacrosse, singing and macramé. Olivia is enjoying the supportive teachers at ERMS and her favorite class this year is Science because it involves hands on activities. Olivia’s favorites include: the color blue, chicken pasta, the Harry Potter books and movies and listening to Pop music. Olivia cheers for the Spartans and her career plan is to become a professional chef. Her dream vacation is to travel to Paris to see the Eiffel Tower. The person Olivia admires the most is Gabby Douglas. Olivia admires her because she is a hard worker who never gives up and this has inspired Olivia to never give up. Olivia is most proud of the time she stopped her first goal while playing goalie in lacrosse. 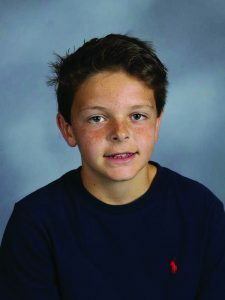 Brennan Karas (7th Grade) is the son of Eric and April Karas and has an older brother Alex. The family has two pets. A fish named Jedidiah and a dog, Molly. Brennan is a Lakes alum and his favorite class at East is Social Studies with Mr. LaCourt. Brennan says Mr. LaCourt makes class and learning really fun. In his free time, Brennan enjoys snowboarding and soccer. His favorite color is purple and his favorite food is peanut butter and jelly sandwiches. His other favorites include the book, Wonder, listening to pop music and cheering on the Spartans. Brennan plans on attending Central Michigan University and is not sure yet what he what his future career might be. Brennan’s dream vacation would be to go to Aruba because he loves warm places. When asked who he admires the most, Brennan replied: “my parents, because they always do the right thing”. Brennan is proud of his dad because he is such a hard worker. 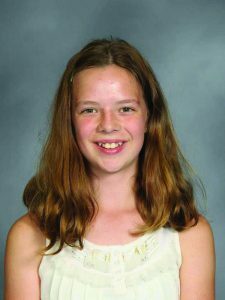 Jessica Mulder (7th Grade) is the daughter of Christine and Brian Mulder and has two older brothers: Jake and Zack. The family has two dogs: Molly and Sully. Jessica attended Cannonsburg Elementary school. In her free time, she enjoys playing soccer, drawing, reading and hanging out with family and friends. Band is Jessica’s favorite class this year because of all the cool music. The opportunity to make new friends is one of the best things about ERMS for Jessica. Jessica’s favorite colors are blue and red. She enjoys eating pasta and listening to pop music. Her favorite movie is Jumanji 2 and her favorite books are those from the Harry Potter series. Jessica is a Spartan fan but would like to attend Calvin College and would like to study medicine and perhaps become a surgeon. Her dream vacation would be to go to London as she would enjoy seeing where the Harry Potter movies were filmed. The person she admires the most is her brother Jake because he always tries to be the best person he can and is a hard worker. Jessica is most proud of her grades; even with advanced classes she has been able to still get all A’s. 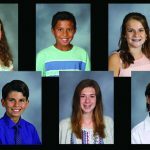 Xavier Gee (8th Grade) is the son of Adam and Danae Gee. He has three siblings: Alayna, Broderik and Gracelyn. 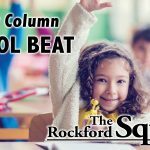 Xavier was a Crestwood Cougar prior to coming to East Rockford Middle School. His hobbies outside of school include reading and playing tennis. His favorite class is math with Mr. Ouellette because he enjoys bad joke Monday. The best thing about ERMS, according to Xavier, is the huge cafeteria and being able to play 9 square at lunch. His favorite colors are blue and orange and his favorite food is pizza. Xavier enjoys the movie Avatar and the book Eragon. Xavier is a Michigan fan and would like to attend Taylor University to study Health IT. His dream vacation is to backpack in Hawaii. The person Xavier admires the most is his dad because he is a godly man full of integrity and compassion and he is also funny. He is most proud of his tennis skills. 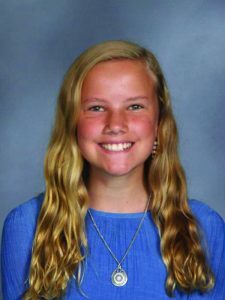 Jansen Sullivan (8th Grade) is the daughter of James and Katherine and has one sister, Macy. The family has many pets which include: two dogs, Autumn and Lilly and four cats: Austin, Ozzie, Zoey and Cooper. 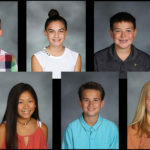 Jansen attended elementary school at both Shoreline Elementary School in Whitehall and Stonegate Elementary in Indiana. Her hobbies include: riding horses and participating in jazz, ballet, tap and hip hop dance. Her favorite class this year is math as she enjoys the challenge of solving problems. Her future plans include attending MSU and becoming a movie director. Her dream vacation would be to travel to Europe to tour all of its’ countries. The person she admires the most is her mom because she always preservers and she inspires her to do great things. She is most proud of how she adjusted to moving and how she has remained connected to all of her friends.